This time we take a look at how learning has changed in the virtual classroom and explain how you can make the most of digital tools available online. Join Tim to upgrade your digital skills! Webinars, streaming, digital communication tools – it can be intimidating when you're faced with new technology, but really there is nothing to fear! 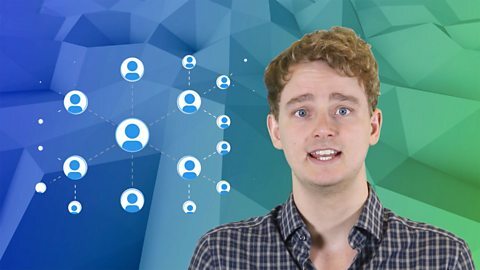 You just have to make sure you know what you can actually do online – and luckily Tim from BBC Learning English is here to help you out! Phones aren't just good for looking at old photos! 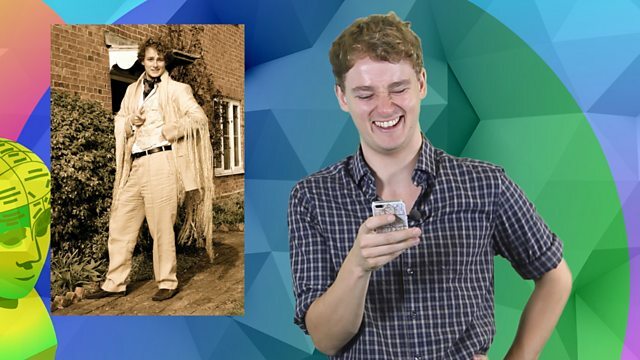 Tim's here to tell you all about the virtual classroom – and how to make use of it as a distance learner. While you watch the video, complete this sentence: 'A webinar is...'. Click the 'S' button in the video player if you want subtitles. Ha ha ha! Good times. Oh hi, I'm just taking a walk down memory lane and looking at some old photos of my student days. Things have changed a lot for students. When I was at university, we had to go to lecture theatres and attend seminars with our tutors in their offices. Now, all of that still goes on, but lots of academic institutions now allow students to study online without having to go to a lecture. That's really useful for distance learners, and that's what we are going to talk about today: learning in a virtual classroom. So what do I mean by a virtual classroom? Well that is when distance learning students and tutors 'meet' online at a specific time to have a live lesson. This is often known as a 'webinar'. And it means you have a lesson live in real time, but all the people attending are in different places. So, why is this such a great innovation? Just think about it. A webinar has all the benefits of a physical class, but you can attend and participate from the comfort of your own home, or place of work. You see and hear the teacher and can ask questions, but you don't need to be physically there. This kind of flexibility means that lots of people who are too busy, or live too far away from a college, can study the same as students who physically attend their academic institutions. So how does this work? To attend a webinar you obviously have to have access to a computer, smartphone or tablet that is connected to the internet. You probably need a good internet connection because the webinar is streaming video and audio to your computer. 'Streaming' means 'receiving and playing media from the internet to your device in real time', like you do on video sites like YouTube and Vimeo. It's different from downloading because you don't get to keep the video after watching it. So, to join the webinar you will need to login to your academic institution's website using your password. Once you are logged in, you will join the webinar at the scheduled date and time. Don't forget to plug in your headphones or turn up the volume so you can hear what is going on. Now we know how you can see and hear the lesson, but what about asking questions? Usually, there is a chat or messaging facility that allows you to type in questions for the teacher. You just write your comment and send it. Usually, there is a chat or messaging facility that allows you to type in questions for the teacher. You just write your comment and send it. Alternatively, sometimes you may be able to ask questions by speaking. For this you will need to use a microphone attached to or built into your device. It's a bit like using digital communication tools like Skype or WhatsApp. In fact, sometimes, webinars can take place using these popular platforms that many people already use to keep in touch with friends and family. So that's your introduction to webinars for learning online. Hope you enjoyed it and see you next time! What another way of saying 'on the web'? Lots of academic institutions now have facilities for students to study online without attending lectures in person. Tutors and students meet online in webinars – live sessions that everyone attends at the same time, from different locations. Make sure you have access to a computer, tablet or smartphone connected to the internet – you won't be able to attend a webinar without these. You need a good connection to stream video and audio content – that's where you receive and play media from the internet on your device. You will need to login to your academic institution's website – don't forget your password! Remember to plug in your headphones - and turn up the volume so you can hear what's happening. Use the chat function to ask questions. You might even be able to ask a question by speaking – you'll need a microphone to do this. That's it for now. Next time Sian will be here to tell us about using English for study in the digital world. In the meantime, visit our partner The Open University for more digital literacy tips – just click on the 'Where next?' link.